Michele, Office Manager (left) and Julie, Assistant Office Manager (right), successfully completed the Dale Carnegie Skills for Success Class. 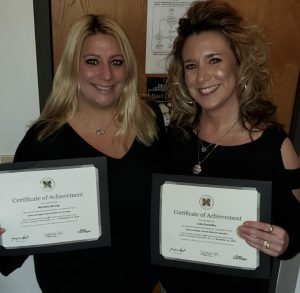 Michele and Julie are the leaders of WVWA’s customer service department. Up for the challenge of the intense 8-week course, the managers enhanced their human relation skills adding to their already exceptional business skills set. Through commitment, hard work, and late nights, they graduated from the course on November 12, 2018.